Forgetting where you last left your mobile phone or tablet is not something unusual or reason to freak out. I lost my phone, how can I find it? The good news is that there are available tools to help you easily locate your phone around your house and also find its exact location even when someone else has picked on it. You can basically track the location of any type of smartphone you own. Be that an Android phone or tablet, iPhone, Windows phone, or BlackBerry. This can be quite helpful for cases when you left your phone in a public place, someone else finds it, and you can make your phone display a short message that may contain your phone number or email. Excluding cases when the other person wanted to steal it, you can easily take back your device, or keep your privacy secured by erasing the data when your phone or tablet is stolen. Google allows its users to keep controlling their Android device even when they do not have physical control over it. This ability is provided via Android Device Manager and has now expanded by allowing you to track your lost device via Android Device Manager app, Google Search, or via your Android Wear wearable device (if it is connected by Bluetooth). Log in with the Google Account associated with your lost Android device. Open the main Google search page on your browser. Write down “Find My Phone” or “Find my Android” and hit Search. Select the device you want to find, and a map will display your device(s) – Android Device Manager will display the approximate location of the device. Select one of the available options. Ring – Play a sound at full volume to force your phone or tablet signal about its location (when your device is lost around your house). Recover – This feature lets you lock your device by setting a password on the home screen (when you have no idea where your phone or tablet might be and ringing it didn’t work but may still worth waiting to find it) to prevent a third party from accessing it and as well leave a phone number for whoever might have found it to call you. Or you may use Erase to clear all the data on your device and have your privacy secured. Instead of Googling “Find my Phone” you can go straight to the Android Device Manager website and apply the same technique to that of Google Search. Login to your Google Account connected with the lost Android phone or tablet. Find the lost Android tablet or phone you want to track. Optionally select Ring, Lock or Erase functions based on what you need. You can use another Android device to track the location of a lost phone or tablet that as well runs Android. Using Find My Phone Google command or visiting Android Device Manager website will work just fine, but you can still choose to use Android Device Manager app on the device you want to use and track the lost tablet or phone through it. Open the Android Device Manager app on the device you are now using. Sign in to your Google account (the one that is attached to your lost device). Change the displayed device by swiping along the bottom of the screen if you are using a phone or touching the arrow next to the device if you are using a tablet. Select Ring, Lock, or Erase and continue with whatever suits you best. For those rare cases when you left your phone in bed, and it just doesn’t want to show up, you are lazy to get up and call it via another phone or Google Find My Phone, you can use your Android Wear smartwatch to make it ring (if you happen to be an Android Wear user). Say “OK Google” or tap on the background of the screen, if your device is running Android Wear 2, press Power button and wait until it responds with “Hi, How can I help?“. Find “Start” and tap on it. Use the Ring function to make your phone locate its self off. Note that your lost phone and Android Wear device should be connected by Bluetooth for this feature to work. When your lost device happens to be a Samsung phone, you may either track it down treating it like any Android phone or make use of Samsung’s Find My Mobile service. Using Samsung’s Locate My Device function for tracking a lost Samsung phone is the best way to secure your sensitive data. Via Samsung Find My Mobile you can remotely track the location of a lost device, make it ring, view the call log for up to 50 missed phone calls, lock the device, block access or delete Samsung Pay, or wipe out entire data from the Samsung phone. Tap the Lock screen and security icon. Tap on Find My Mobile. Select one of the recovery options. Apple not only produces industry leading mobile phones, tablets, laptops, smart watches, and headphones but also offers system support by letting you remotely track and secure data on your lost Apple device. Via Apple’s Find My iPhone (or Find My Watch for Apple Watch series of wearable devices) you can have everything Google provides for Android devices via Android Device Manager and more in security terms. In addition, via Apple’s Family Sharing, you can track the location of all linked accounts with one account. Launch Settings app on your iPhone, iPad, or iPod touch. Scroll down and tap on Find My iPhone. Turn Find My Phone on by sliding the switch and Send Last Location. Check the box and turn on Find My Mac. 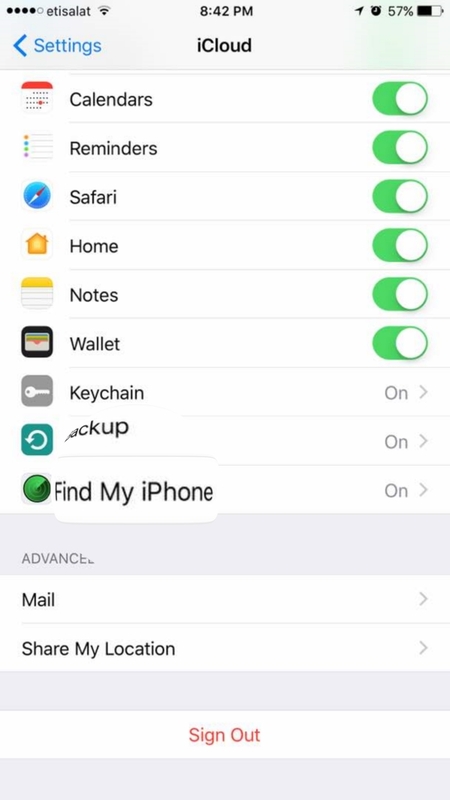 When you set up Find My iPhone function on any Apple device, you as well activate its Activation Lock feature that prevents anyone from accessing your device in case you lose it, or it is stolen. ICloud provides the support to track your lost Apple device, and you can access it from the web or by launching the Find My iPhone app on another iPhone. Open iCloud.com on your browser. Sign in using your Apple ID and password that is associated with your lost device. Click on all devices and select the lost device. View your lost device on a map, zoom in or out to have a better view on where it might be. Choose one of the following options. Play Sound – Play a full volume audible sound that functions even if your phone is in silent mode. It lets you easily find your lost device if it disappeared around your house. 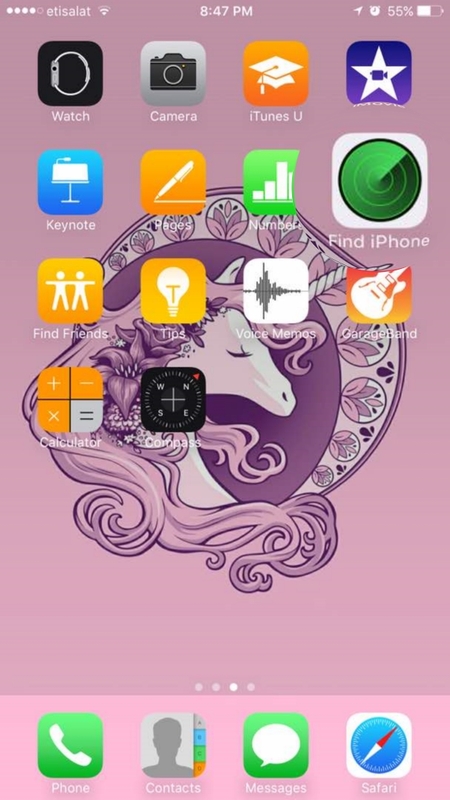 Lost Mode – Make use of this feature if you believe you still can have your lost iPad or iPhone back. An audible sound will be played, and your phone number will be displayed on the device’s screen to allow whoever found it reach you out. Erase – If you are confident that you cannot recover your lost device then using this function will erase all data on the lost device. Rather than visiting iCloud.com for finding a lost Apple phone, you can use the built-in pre-loaded Find My iPhone app. The app has the same location-tracking functions to those offered by the web-based iCloud website. Launch Find iPhone app from any iPhone, iPad, or iPod touch. Log in with your Apple ID linked to your lost device. Select the device you want to track by tapping on its name. Go to Actions at the bottom. Select one among Play Sound, Lost Mode, or Erase. Pick the one that suits you best. An Apple Mac is probably too big to be lost indoors, chances of forgetting it somewhere, or having it stolen are higher. Find My Mac is the tool you need to locate it and possibly recover it back. To successfully track it, you’ll have to enable Find My Mac before it goes lost. Otherwise, see what you can do to contact local law enforcements. Visit iCloud.com or Find My iPhone app for iPhone, iPad, or iPod touch. Locate your Mac on a map. Choose among playing a sound (if your lost Mac is nearby), remotely lock your Mac with a passcode and displaying a message to allow anyone that found it reach you back, or erase its entire data to have your privacy secured. With WatchOS 3 and iOS 10, Apple implemented additional security on helping iOS fans keep a steady track on all of their Apple devices. 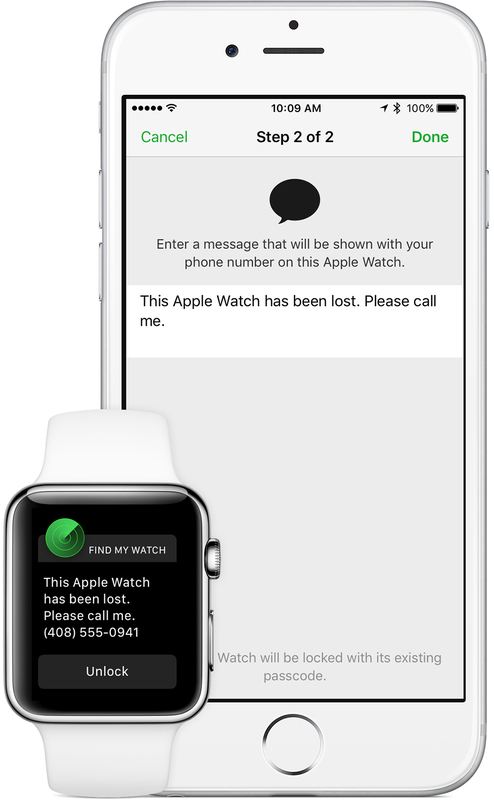 When you activate Find My Phone on your iPhone, you automatically enable Find My Watch on your Apple Watch as well. Here’s what you can do to make sure your Apple Watch always remains trackable. Sign in with your Apple ID at iCloud.com or use Find My iPhone app. Go to All Devices and choose the device corresponding to your lost Watch. View location of your Apple Watch on a map. Make your watch play a sound by selecting Ring (if it goes missing nearby). Use Lost Mode to activate Find My Watch on your lost watch. You can as well add a phone number to allow anyone that found it contact you back. If you did not turn on Find My iPhone before the watch was lost, Apple cannot help you track its location. But you can still denounce it at local authorities and help them by providing the serial number of the lost Apple device. Authorities may require the serial number for any Apple device you denounce as stolen. With the iPhone 7, Apple killed the headphone jack and introduced its wireless-connected AirPods headphones. The greatest concern among users was that those wireless headsets were too easy to lose. Mocking from Android fans and themes blackmailing Apple for that decision continue to flow still. But the real question is, can Apple help you not lose your dearest AirPods? The answer is yes! Apple can help you find your AirPods but cannot make them unusable if someone steals them from you. Here’s how to track your Apple AirPods if you lose them. Visit iCloud.com and go to Find Phone, or launch Find My iPhone app on your iPhone or iPad. Sign in with your Apple ID linked with your lost AirPods. 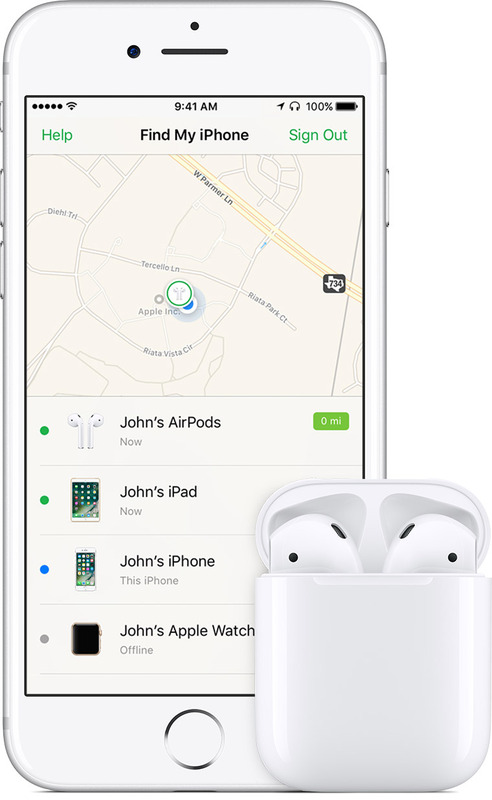 Find your lost AirPods from All Devices. Tap/select Play Sound to make your AirPods play an audible sound that will let you locate them. If your AirPods are separated, you can use Mute Left or Mute Right to track them one by one. Back in 2014, Microsoft decided to retire Nokia and Windows Phone brands with Microsoft Lumia and Windows 10 Mobile. With the release of Windows 10 OS, every device that had previously run Windows Phone 8.1 could upgrade to Windows 10 Mobile OS. As Microsoft devices are not lose-proof, Microsoft developed its own tracking system that gets covered by Find My Phone and Find My Device. 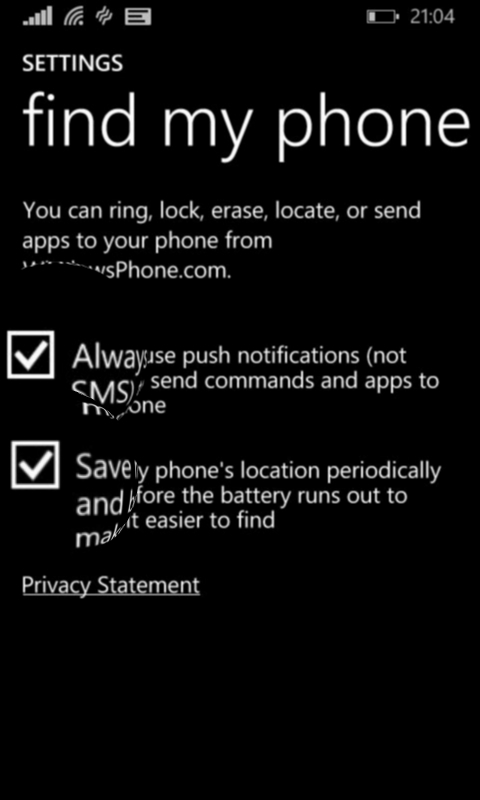 But, before Microsoft can track your device, you should activate Find My Phone and Find My Device. Tap on Updates & Security. Scroll down and tap on Find My Phone. Check “Save my device’s location periodically so it’s easier to find“. Open Microsoft Account on any browser and log in with the same Microsoft account you used to sign in on your lost phone. Select the phone you want to track. Click on Find My Phone. 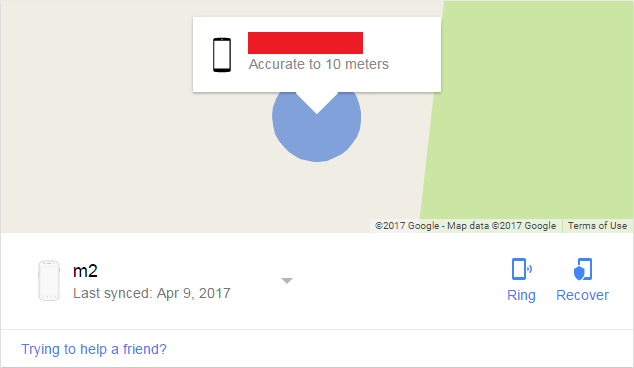 A map will be shown with the location of your lost device. Zoom in and out if you need a better view. After seeing your phone on a map and it appears to be near your home, making it ring and play a full-volume audible sound will be more than enough to let you pick it up. Here’s how to do it. Sign in via your computer on your Microsoft account by visiting account.microsoft.com/devices. Select the phone you want to ring and click on Find My Phone. Click Ring, and it will play a sound at full volume even it the volume is set off or is in vibrate mode. If your device doesn’t appear anywhere close in the map and ringing it didn’t have any positive outcome, then locking it up and forcing it to display a message might be what you want to try next. Hopefully, whoever found it may return it back by contacting you on the phone number you submitted on the lock message. Open Microsoft account linked with your lost phone on a browser. Select the device you want to lock and go to Find My Phone. Click Lock and set up a passcode (if you don’t have a password on your lost device). Provide a phone number or an email account on the message box for the person who found it to reach you out. If ringing your lost phone didn’t work out and displaying your contact information in the message box didn’t prove to be helpful, then securing your sensitive data should be your next concern. Erasing data from your lost phone is the last step you can do, and this should come after you utilized all of your other options. Go to account.microsoft.com/devices via a browser. Select the phone you want to have its data erased, and then click on Find My Phone. Confirm the erase on the dialog box. Similarly to Microsoft’s Find My Phone function to track a lost Windows phone, you can use Find My Device for tracking other misplaced Microsoft devices. Here’s how you can turn on Find My Device. Sign in to your Microsoft device as an administrator. Find and open Update and Security. Click on Find My Device. Turn Find My Device on. To track any lost Microsoft device, you will be completing similar steps to those applicable to track a lost Windows phone. You can then choose among Ring, Lock and Erase based on what you believe to have the best outcome. BlackBerry is famously known for producing highly secured mobile phones. While system behind security on BlackBerry phones can almost guarantee your privacy, it cannot prevent you from forgetting where you left your phone or not having it stolen. But what it can do is help you track its location in case you lose your BlackBerry or someone takes it from you. BlackBerry offers phone tracking function via BlackBerry Protect, shares similar functions to Find My Phone and can be seen as a Find My BlackBerry app. BlackBerry Protect app comes as a built-in feature for devices running BlackBerry 10 OS while those devices runner an earlier version of the BlackBerry OS must manually download BlackBerry Protect from BlackBerry World. For devices running BlackBerry 10 OS version 10.3.2, your BlackBerry ID username should be an email address. From the home screen of your device, swipe down from the top of the screen. If required, sign in with your BlackBerry ID. If needed, confirm that your BlackBerry ID is a valid email address. Switch Location Services on (this will allow you to locate a lost BlackBerry phone on a map). To prevent a third party from accessing your device, BlackBerry Protect cannot be turned off (you will have to turn it on first) without logging in with the BlackBerry ID linked to the particular BlackBerry phone. Thus, even if someone steals your phone, its location cannot be hidden. Open BlackBerry Protect Website on any browser. Select the device you want to have its location tracked. View Location – View your lost BlackBerry phone on a map. Based on its location you will be choosing on what you want to do next. Play Sound – If the lost device appears to be near your home then playing a sound will let you figure out its location. This is always the best scenario when you lose anything. Display a Message – Force your lost BlackBerry device to display a message on the home screen, on the dialog box you can include a phone number for anyone that found it to call you back. Lock Device – Add a password and lock your lost device to make it unusable for anyone that might have it. Wipe Device – Use this function as a last alternative, protect your privacy by erasing whole information on the lost device. Although BlackBerry supports services to enable you tracking of a lost device, on their official statement, they strongly discourage their users from attempting to retrieve lost devices on their own. BlackBerry requests to their users to contact local law enforcements when their device is stolen.